Trust those who know the water ways coast to coast. At Yacht Direct we specialize in arranging private luxury yacht charters, with access to hundreds of yachts worldwide. 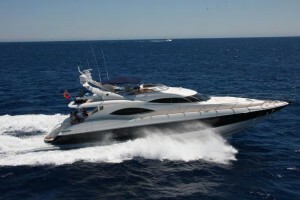 If there is a yacht you are interested in please do not hesitate to ask us. We meet and continue to maintain the finest standards of yachting suitable to our clients’ expectations. In addition, our journeys around the world provide vast first-hand knowledge of some of the most exciting and enchanting ports of call; including the South Pacific, Mediterranean, Greece and Turkey, just to name a few. We respect the importance of discretion and confidentiality when rendering our services, and are accustomed to working with VIP’s in the entertainment industry, as well as the corporate and private sectors, including royalty. Each inquiry is handled on an individual level ensuring that our clients receive personalized service and are offered only the finest of yachts available for charter. Yacht Direct can arrange all the details of your yachting charter; whether a family affair, honeymoon, corporate event, destination wedding, or dream vacation of a lifetime. Let us navigate a destination that caters specifically to you!